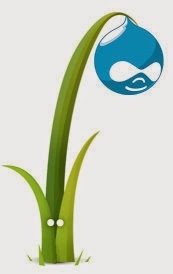 The last time I touched Drupal was for a client a few years back and haven’t had the chance to touch it since. I thought since I’m currently working on revamping the LMS and the website interface for it, why not attend, update my skill set and meet some people who actively engage with Drupal. Let’s just say I enjoyed the results. The sessions mainly focused on the UX aspect of Drupal, from beginner to advance. There was many a lecture as well as hands-on aspects that entertained every level of experience. New ideas were abound and ways to push the product toward efficiency were debated. It was a community experience that even though I was away from home a bit, I was welcomed back again. I also lucked out since every session I attended brought forth some concepts that could immediately be applied back into the workplace. The first session I attended was focused on rethinking UX research by Christine Perfetti. Senior Director of User Experience of Acquia. A prolific speaker who engaged and challenged the audience into thinking about the best practices for successfully evaluating and improving websites from a MacGyver frame of mind. A very timely topic as my manager emailed me a few minutes earlier looking for some criteria surrounding UAT testing for a Knowledgebase NTI is implementing this week. As I furiously took notes, I thought about how I could conduct the research with remote candidates through observation and instantly it was integrated into our plan. Thus far, it has become a key element to changes to the system. Christina Inge presented a very passionate lecture on understanding clients. When I heard her speak, it bridged the gap between the clients wants, needs and the designer. Enaging the audience, she provided the tools to drive smoother communication, project management, and how to handle the tough issues. Extending on the same root concepts, John Picozzi and Dave McKinley from Oomph discussed the trials and tribulations of client needs and how Drupal has become a mainstake in the business. They went on to discuss giving back to the Drupal community through involvement, Module development, and evangelizing the tools that have helped out so many designers and developers. 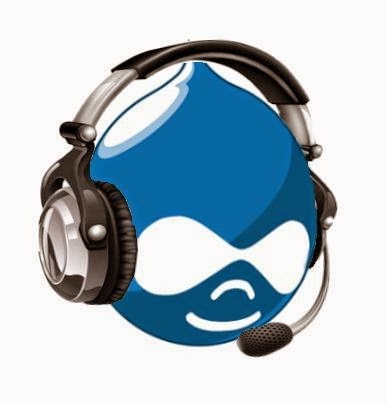 Since I haven’t touched Drupal since Drupal 5, I thought it would be fantastic to get a hand-on approach as a reminder of what Drupal could bring to the table. Christopher Wells, John Paul McNeal and Patrick Corbett of Redfin Solutions leveraged the Acquia Dev Desktop as well as Drupal.org to show to beginners and intermediates how to start up your own site. 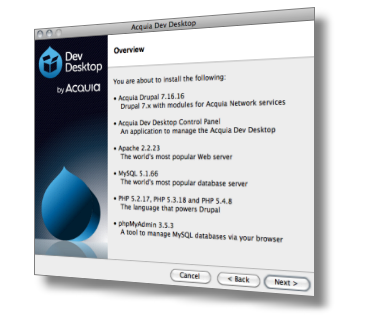 The 2-hour, hands-on workshop guided me and my fellow classmates through how the Acquia Desktop. The team from Redfin was very knowledgeable, patient, and resourceful as they guided the group to success. I found myself getting acclimated to the Acquia Desktop and transferring my knowledge from Moodle, SumTotal Systems, Eclipse Workbench and the .NET Framework to this new tool. I simply loved it, found it intuitive to use and was able to build an internal microsite during the class. As I investigated the Drupal.org site, I found a few ways to link Moodle and Drupal. Off to the lab to expand on my creation! The second day of the conference was compelling and served up with lectures regarding the user experience, layout design patterns, design systems as well as one topic that surrounds NTI’s area of expertise, the accessibility experience. The keynote speech was headed wholeheartedly by content strategist Steve Fisher who leveraged his conversation with the audience to welcome them into his world. Sharing the visual imagery and cynical humor surrounding his family using hula-hoops, to zombie attacks, and kissing dogs, Steve segued into how to connect the mind and heart when creating the vision behind a web project and allow for creativity. A compelling lecture to go out there and create and drive for the future. One of the things that struck me during this conversation with Steve was his demonstration of the Lend-an-Eye App, which serves as somewhat of a seeing eye dog for visually impaired individuals. NTI helps individuals with disabilities strive to gain successful employment. It’s always a challenge getting everyone through our training due to the disability. Not only did Steve provide motivation through his speech, but also just helped out a few hundred visually impaired individuals get through our training programs at NTI. Thanks Steve! technique, John was able to provide knowledge that I can automatically leverage in building my interface for my next Learning Management System. As a common issue with over 400 Americans with Disabilities coming through our doors on a weekly basis, I had to go to Dan Mouyard’s presentation on the Accessible Experience and Designing for Everyone. However, I was interested in the sessions for Twig and Kalabox as well. I’m still happy I attended Dan’s session. Dan engaged the audience with visual imagery and hands-on exercises to discuss what it is like to for a disabled individual to experience the web on mobile and desktop devices. He further addressed the considerations that should be made when developing your design for the masses. I followed Dan’s presentation with a session by Erik Baldwin from CLoud NYNE Design on Twig Prototyping with D8’s REST API. I thought it was great conversation surrounding a method of rapid prototyping. I found Twig fairly easy to learn and flexible enough to implement. Twig definitely makes the code more digestible. Through the conversation with the audience, I think Erik chose well to present on such a topic and determine ways to prototype in a more efficient. Unfortunately, I could not attend the third day of the conference due to a prior commitment, but did attend the after party Saturday night at General Assembly where I met quite a nice group of talented individuals from a variety of professions. I’m looking forward to my next conference and contributing to the community. Time well spent and was happy to be a part. You can continue to follow the NTI evolution as we will be posting updates to this article as well as the experiments to bring a re-evolution to NTI Technology to life on @technology_nti at Twitter. LandAjob is an employment network, working within the Social Security Administration’s Ticket to Work program. As a division of NTI, Inc., we have been working with Americans with Disabilities since 1995. First, if you are someone who is currently working, LandAjob can provide beneficiaries who meet certain earning criteria, work related reimbursements up to $9,000 over a three to five year period depending on which Federal benefit they receive. The reimbursement program does not include expenses related to food or shelter. Secondly, LandAjob can help individuals who are searching for work. We provide a large employment database that is searchable by zip codes. You can also use your location and keywords found on job descriptions that might pertain to your experience or interest. The employment database also provides a listing of Federal contractors who are being asked to interview and hire more individuals with disabilities this year, along with non-Federal contractors who have a mission to hire more people with disabilities. LandAjob can also provide additional resources for searching for a job. A LandAjob Representative would be glad to discuss those resources in more detail if you are interested in hearing about these other possibilities. Lastly, LandAjob also offers self-paced study courses on creating resumes, interview skills, career planning and how to have success on the job once you have landed one! We hope to be adding more course work over the next few months. For more information, please visit our website or call our office, toll free, 855-245-8991. NTI has been experimenting with innovative ways to increase the retention of knowledge, return on investment, and engagement, while bridging the gap between a physical real-life classroom and a virtual environment of eclectic interaction. The goal is not only to provide a higher level of interaction for the candidate, but lead to tangible elements that focus on employability, lower attrition, participation, retention of knowledge and higher performance on jobs. The NTI challenge is to provide an environment with these capabilities while attending to the primary audience, Americans with disabilities who are looking for employment in the workforce. Over the past few years, NTI has put established the NTI University to engage students in the skills necessary to build a career. The NTI classroom is one built on an Adobe Connect platform. Interactions include gamification, puzzles, forums, video, chat, webcam, polling, and quizzing. This is nothing new in the training space when creating an online-classroom. However, what is new is the element of engagement surrounding the restrictions of our candidates. How can one create an interactive classroom for audiences that are sight-impaired, struggle with examinations due to limited mobility, while providing an experience for everyone? To achieve this, the Training Department has been injecting transmedia in the classroom. Transmedia is the art of illustrating a single story or story experience across multiple media formats in order to invoke a degree of audience participation, interaction or collaboration using digital technologies. 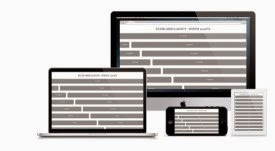 The chunks of content that are created over multiple platforms are linked together and then the content is synchronized with each other so a story could be formed. Since no two students learn alike, the retention of information through various stories allows a student to connect the dots of isolated events and situations. Through the method of transmedia storytelling, a student can take smaller chunks of information that are provided incrementally to form a larger and more cohesive experience. Picture it like a piece of the puzzle. Someone may look at the first piece and realize it is a smaller part of the whole, but does not know where it may initially fit. However, when the puzzle is finished, the completed image surfaces as well as the strategies on how the puzzle was completed. You can even go on to share with others your strategy for completion. 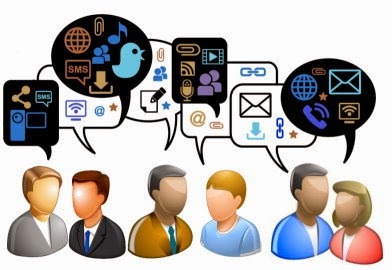 We live in a globally connected world in which we use multiple platforms to connect and communicate. Leveraging social media tools such as Facebook, Twitter, LinkedIn, and YouTube, or other emerging platforms, a student can share their experiences, perspectives, and resources building upon the transmedia methodology. The sharing allows greater depth to not only their own understanding, but a shared collective intelligence that grasps at the attention of the student. In addition, students can make the content their own while not being impeded by the technology. NTI is slowly unlocking a further depth of engagement by leveraging technologies such as the Popcorn.js platform and HTML5 to deliver stories with transmedia. The NTI Training Department is currently experimenting, testing and evaluating video, multimedia, 3D rendering products, touch tablets, cellphones, and social media elements to orchestrate online classes. With these tools, students will be able to experience the ability to manipulate the videos and simulation to share, chat, interact, and redesign according to the content needs regardless of disability. It will be predictive as a student correctly or incorrectly interacts with a video. This technique will be demonstrated in NTI’s upcoming “Interviewing for Success” self-paced training, which will be made available to the public. The course will balance social media integration, QR codes, gaming, and hands-on exercises. In addition, by enrolling into the NTI program, students can enable more functionality and unlock new levels of training content. Through engagement, a student can accelerate their career success. Our end goal is to live the experience and the interpret the story from an individual perspective. In the re-envisioned classroom format, NTI is striving to bring a wide array of multivariate learning experiences to the classroom and is ready to create the next-level experience. Within the class, a student will be allotted more of a chance to create and control their own experience as well as understand the story through their own eyes while leveraging real-world experiences. You can continue to follow the NTI evolution as we will be posting updates to this article as well as the experiments to bring a re-evolution to NTI Training to life on @elearning_nti at Twitter. Welcome to the initial blog posting for the National Telecommuting Institute, Inc (NTI) NTI was founded in 1995 in Boston, Massachusetts. We are a 501(c) (3) nonprofit disability organization. NTI's mission is to identify and develop jobs for Americans with disabilities. So how do we do it? NTI@Home has developed a business model that is powerful and ripe for scaling. The model combines techniques for remote recruiting, eLearning, managing virtual organizations, the latest virtual contact center technologies, and a variety of incentives to encourage contact center employers to "go virtual". 1. Complete outsourced virtual call center services. NTI@Home provides the technology, people and process to get your virtual contact center team up and running. 2. A co-employment staffing agency agreement under which NTI@Home and the client are responsible for different aspects of the employer's role. NTI@Home provides complete HR and payroll management for the virtual workforce. 3. Direct placement, here NTI@Home acts as adjunct staffing agency for contact center employers. Agents placed in this model become an employee of the contact center. So that’s NTI@Home, we’ll use this blog to discuss virtual technologies, the work-at-home model and to engender discussion around placing more Americans with disabilities in virtual jobs. We at NTI are looking forward to your comments, questions and suggestions.